When decorating a bedroom for children it isn’t just the beddings or wall decors that matter but even the lighting in it. Providing lighting is of course important. The light serves many purposes from providing comfort in the dark to lighting up the pages of a bedtime story. You can always get ceiling lights, pendant lights and other kind of lighting but if we talk about a bedroom, a table lamp for the bedside table would be perfect. If it comes to your boy’s bedroom, you might worry that you can’t get a good lighting that would fit your boy’s bedroom theme. But you don’t have to because there are also numerous designs that are made for boys. 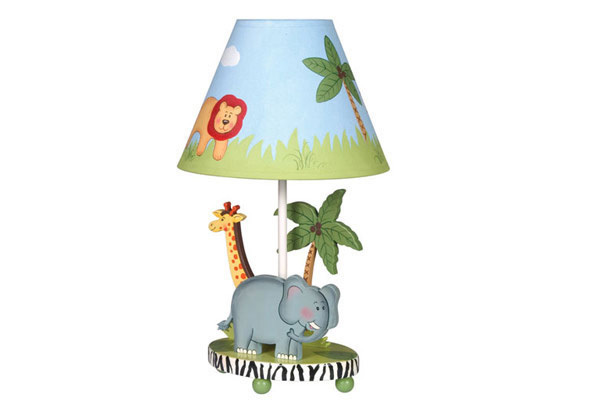 We have gathered some table lamps for boys that would look perfect on the bedside table. Check them out! A delightful truck and car table lamp for a colorful and quirky bedroom accessory which also provides brightness to the space at the same time. 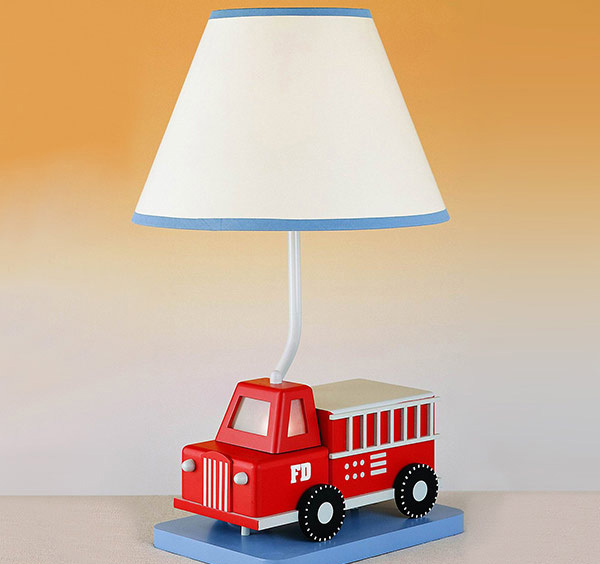 Your little fireman will love this lamp with a fire truck base! Set his bedroom a stunning flare with this creative table lamp. 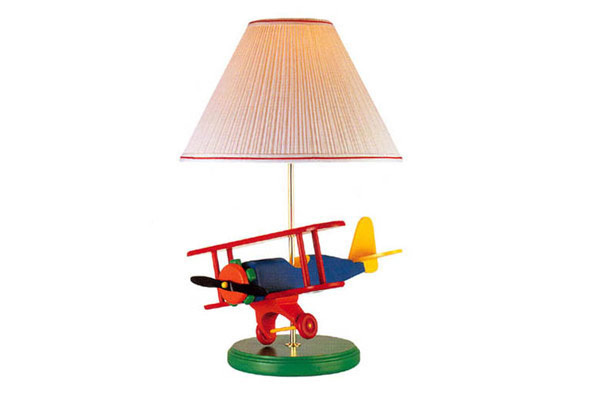 Let your little boy zoom with excitement once he gets this lamp with a colorful airplane on the base! 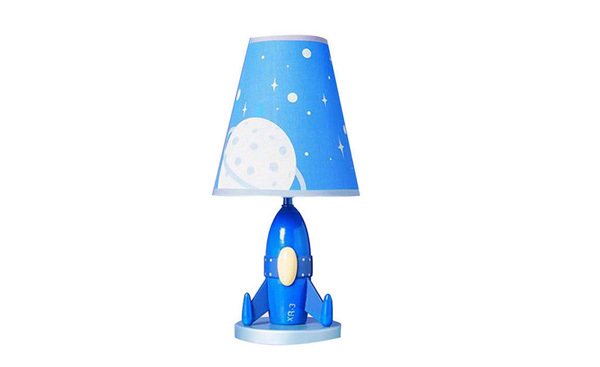 Bring in more light to your little one’s bedroom with this rocket ship table lamp in adorable blue color. 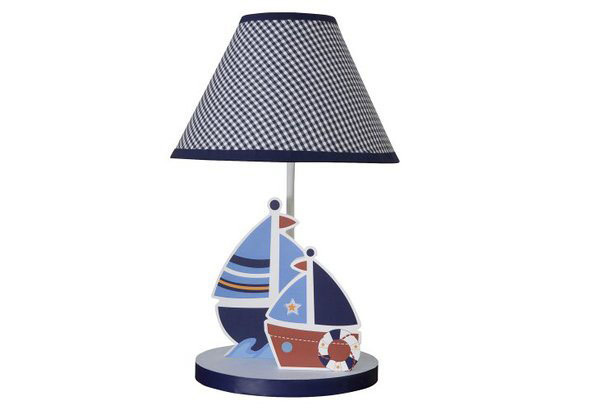 A nautical or beach themed bedroom would be perfect with this lamp with checkered shade and boats on the base. Isn’t this cute? 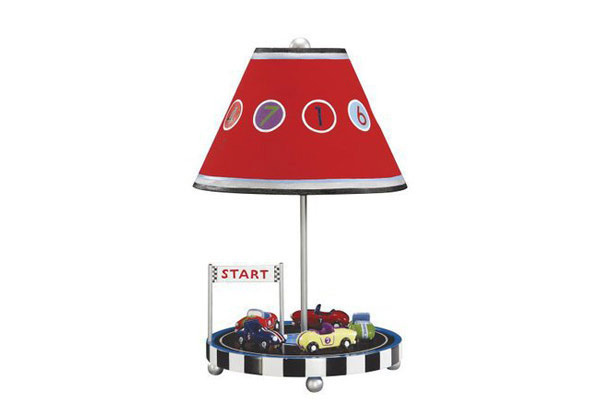 Who would not love the racing cars in this lamp? 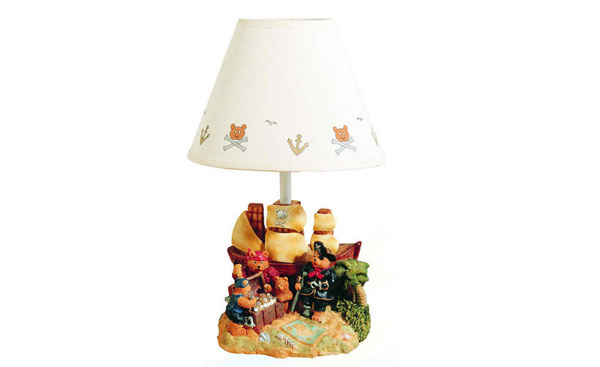 Brighten your little one’s room with this treasure island table lamp featuring pirates and a pirate ship. 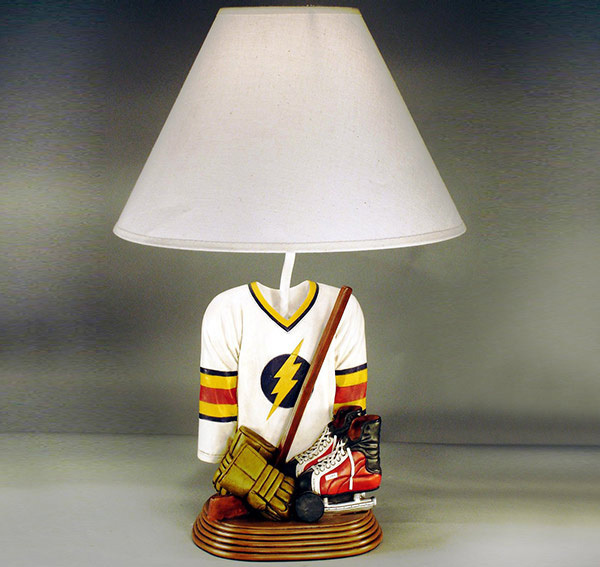 If your boy is a hockey player or loves hockey, then this is the table lamp for him! 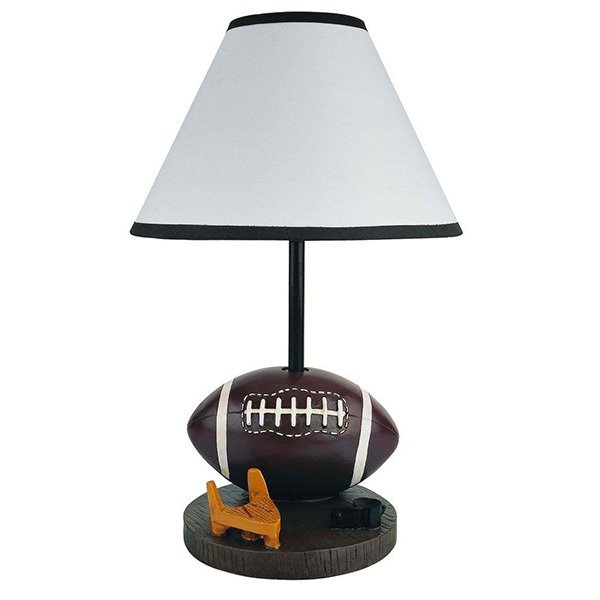 This unique metal table lamp will brighten any room decor and will lighten up your sports lover boy’s face with a smile! 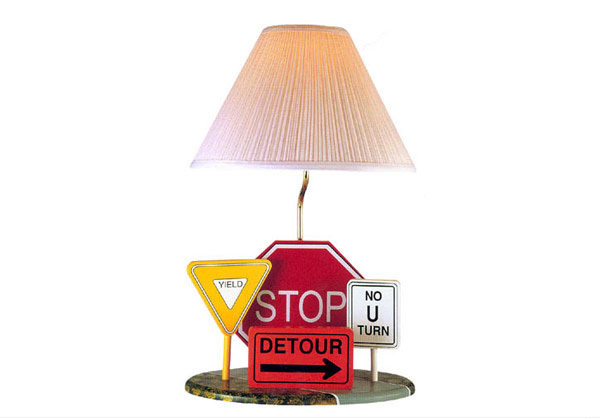 Road signs are also perfect for a transportation themed or road themed bedroom. 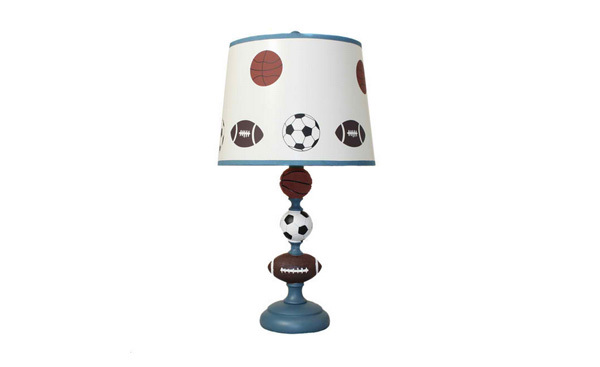 You have seen a hockey themed lamp above but if your kid is into football, then this one is for him! What can be cuter than this? 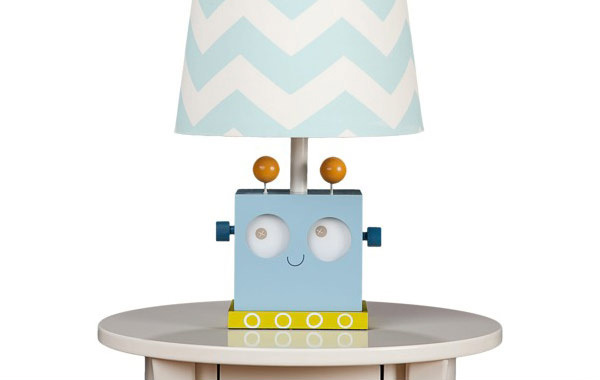 This robot is super cute with a chevron shade. Got a jungle themed or safari themed bedroom for your boy? 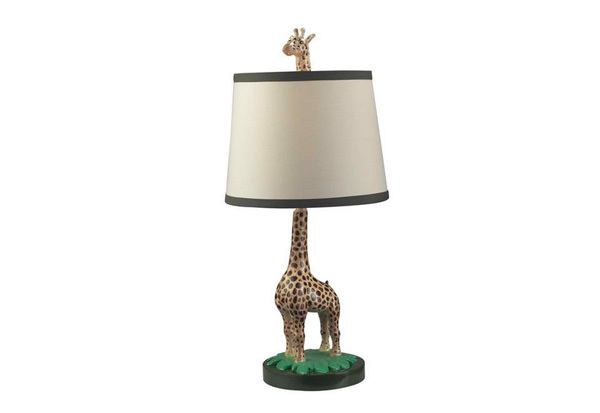 This could be the perfect table lamp for him. Well, this giraffe sure had that long neck as it peeps into the shade! This could also be nice for a jungle themed bedroom. 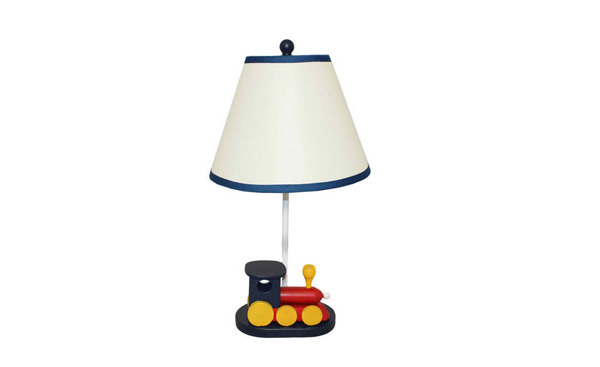 Go choo choo ‘in with this train table lamp overflowing with cuteness! We are sure you were able to pick a favorite from the list above because we do find them cute too! You can always go for a transportation inspired bedroom to nautical to pirate and even to a jungle themed one. 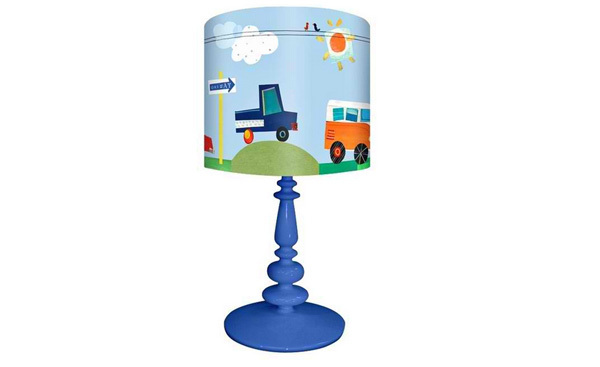 Adding a decorative table lamp could surely complete the look of your little man’s bedroom. Have a girl? Then, the lovely table lamps for girls round-up that we did before is for you!